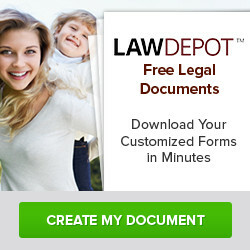 Why sign up to Lawyer-Guide? Tens of thousands of people searching for a solicitor visit this page monthly. 4 types of listings, 2 are free, 2 cost money. Personalised help in signing up if needed. Credit crunch special: reduced listing prices, 15 days completely free! Your listing is in bold when people browse your town. Your listing is featured on the browse county page as well, as a "featured solicitor". Your listing is featured on the front page as "featured solicitor"
Gold memberships usually cost 109.99 GBP per month. Credit crunch special: Gold Membership is 69.99 GBP per month (699 GBP if paid per year), and you get the first 15 days obligation free, and for free! You can write a custom introduction about your firm. Silver memberships usually cost 69.99 GBP per month. Credit crunch special: Silver Membership is 49.99 GBP per month (499 GBP if paid per year), and you get the first 15 days obligation free, and for free! The listing is free, however we require that you place a link to our website from your website. Instructions for this will be given once you have signed up. Listing of basic information about your firm. Name, address and telephone number. You also get a simple Google Map showing where your firm is located. Listings are free and will be live within 48 hours.